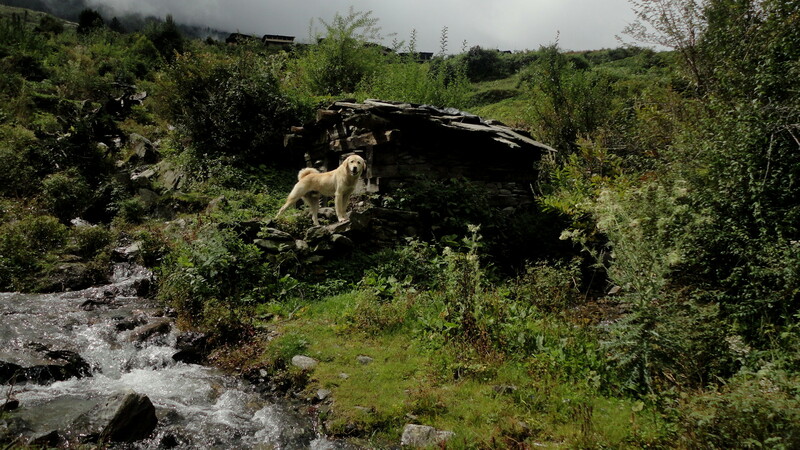 This entry was posted in Uncategorized and tagged dog, Himalayas, mountains, trek by chinthanagopinath. Bookmark the permalink. Moutain dogs are such amazing creatures. 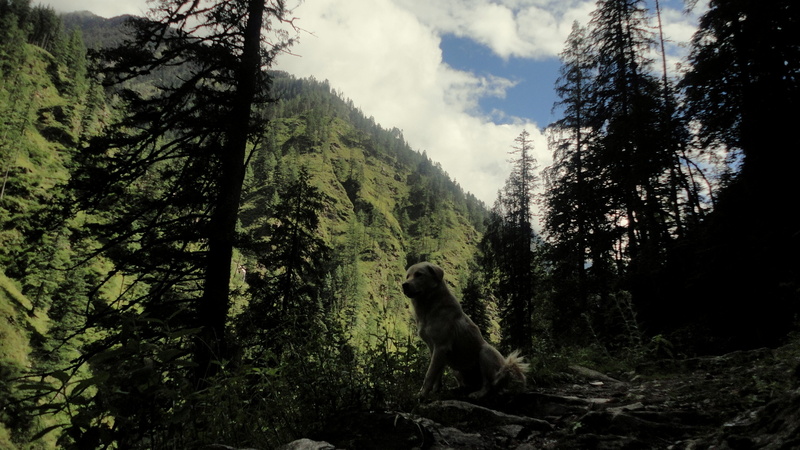 They come into your lives uninvited and just disappear like that.I ve once had a magnificent dog keep me company all night when I was lost in the wild in Kasol. He just walked away in morning,no good byes. 🙂 They are amazing!! Like some mystical, magical spirit to guide your way. really amazing.. 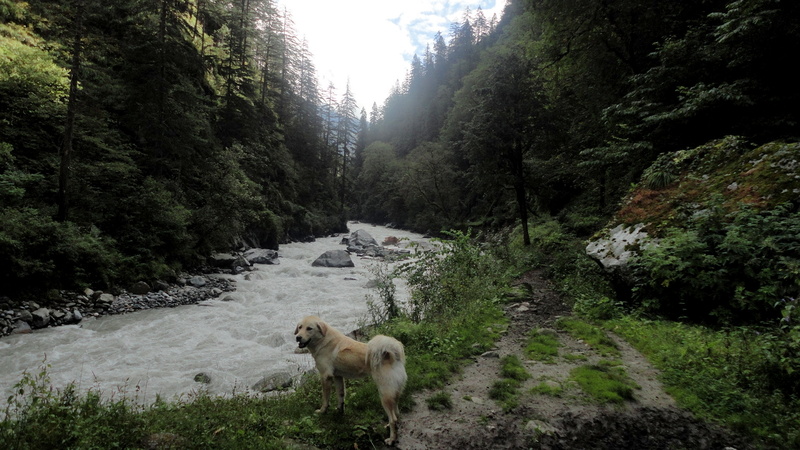 I wish to reborn as a mountain dog ..
Great writing again … The pictures added to the “Experience” of reading.. thanks for sharing .. all the best .. cheers. Hey Chinthana.. lovely read again! 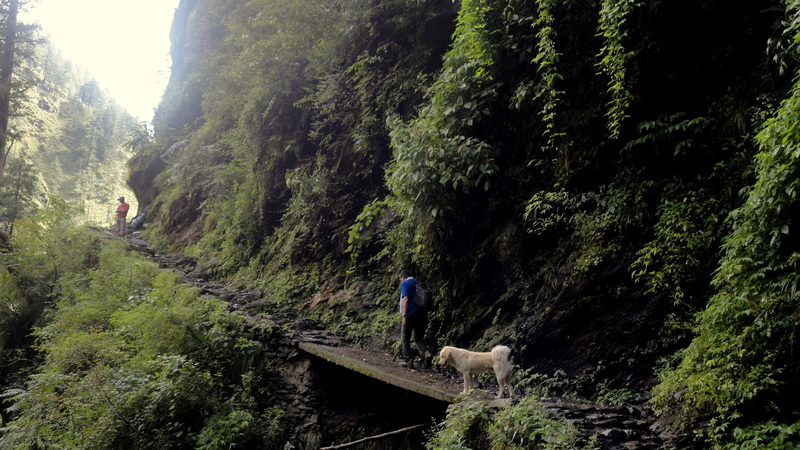 The dogs in remote areas are so nice. I feel very bad for them.. they dont have companions. Once in a while, when ppl go visiting, these dogs treat u so well, running behind u, eating anything u give them and wanting to get pet. I wish I could bring home all such dogs I have come across. Dogs are capable of unlimited love! wherever we go, dogs take an instant liking to my dad. 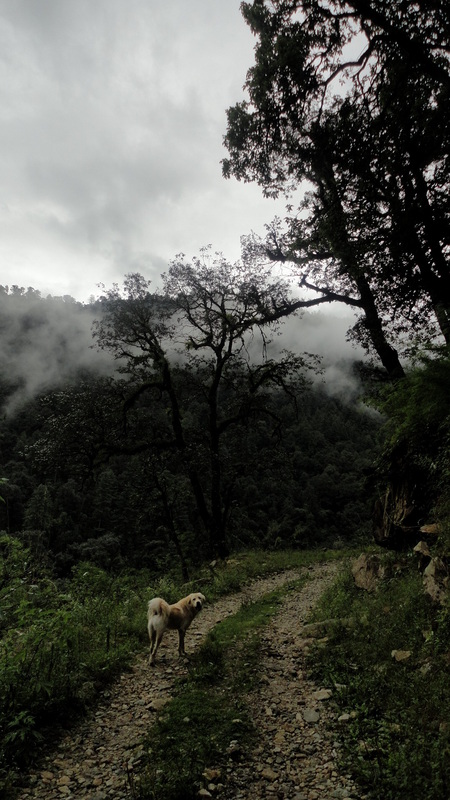 Once in gopalaswami betta, thr was a dog at the hill top who, when my dad would pet, it would close its eyes and it felt like the dog sensed an earlier connection.. may be my dad reminded it of its master or something.. I wonder what the dog felt. 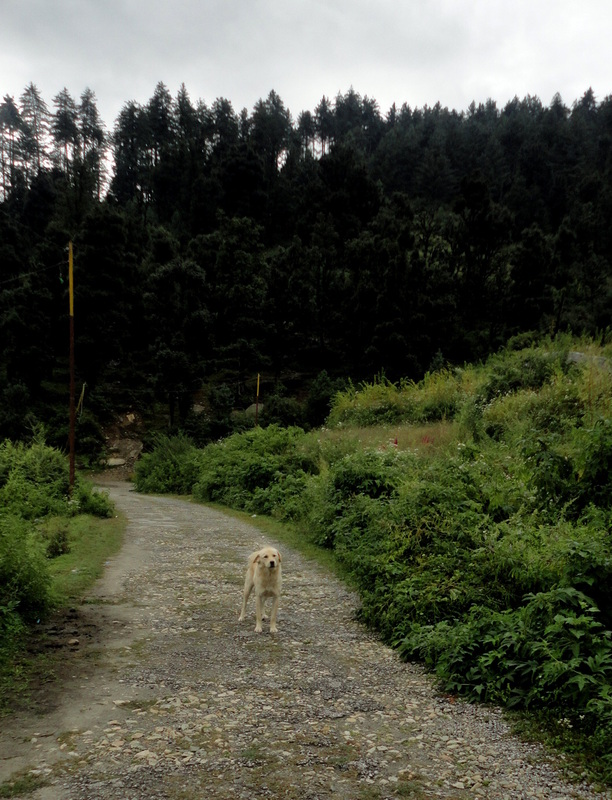 It dint want my dad to leave at all… when we said goodbyes, it was very touching..
Aww, how sweet 🙂 I understand what you mean by an earlier connection, I somehow felt like I knew this dog from before. 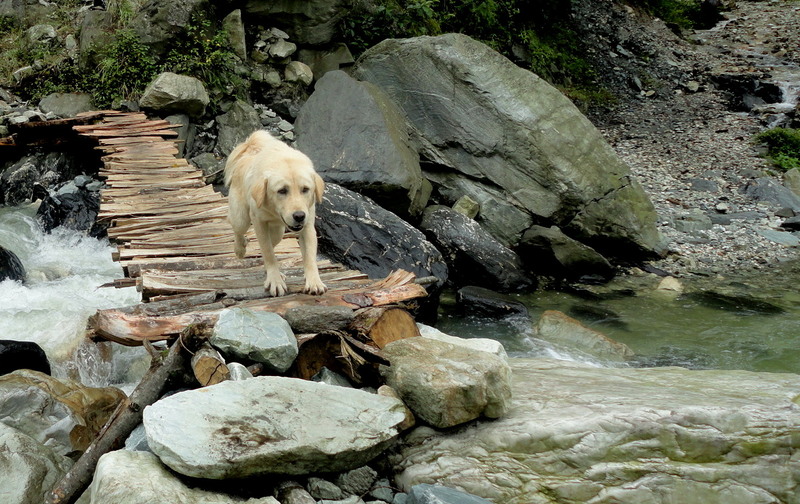 But I must admit, that in all my travels, I’ve noticed that the dogs in the mountains are very well taken care of. Awww.. a touching encounter. Ever since I got myself two pets (cats) I’ve found myself increasingly sensitive and emotional about ALL animals. Very well written!